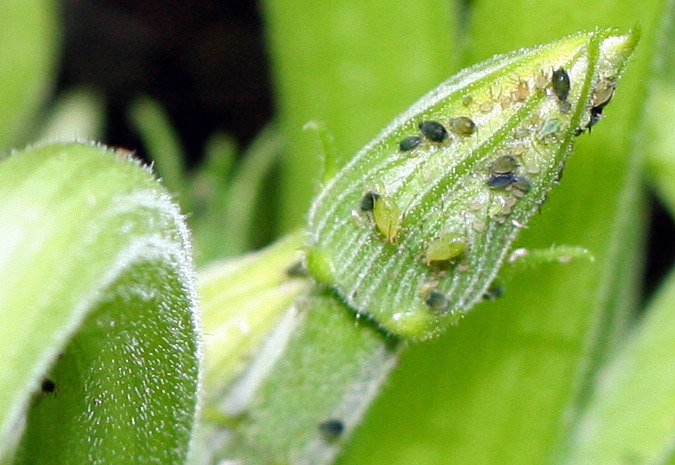 Aphid size and color vary across and within species, with several different species common in greenhouses, including green peach, cotton/melon, foxglove, and potato aphids. However, aphids as a group are relatively easy to identify by the unique cornicles (tubes that project from the abdomen) at the rear of their bodies. 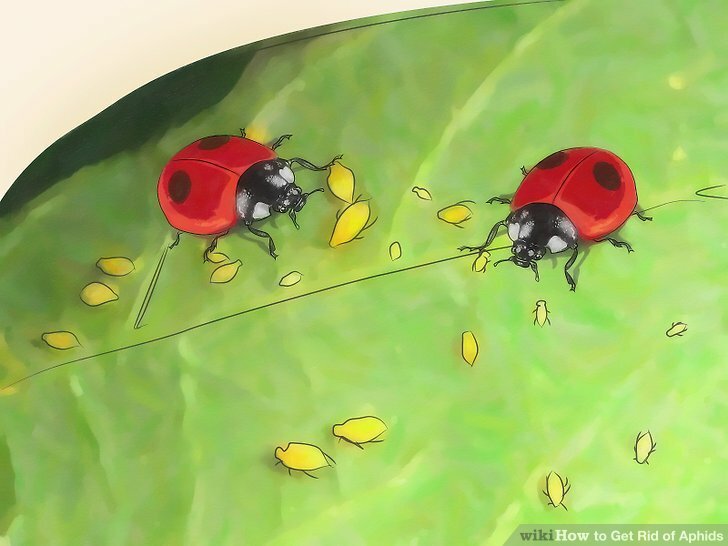 Aphid nymphs are simply small versions of the adults, and most aphids are... Aphids are soft-bodied insects, about a tenth of an inch long. They're typically green or black, though you may also run into gray or black ones in your garden, depending upon where you live. Aphids are very small--roughly 1/10th of an inch long. The most common colors are green and black, though brown, reddish-brown, and gray aphids inhabit some parts of the country. They have two long, tubular appendages on the tail end of their body.